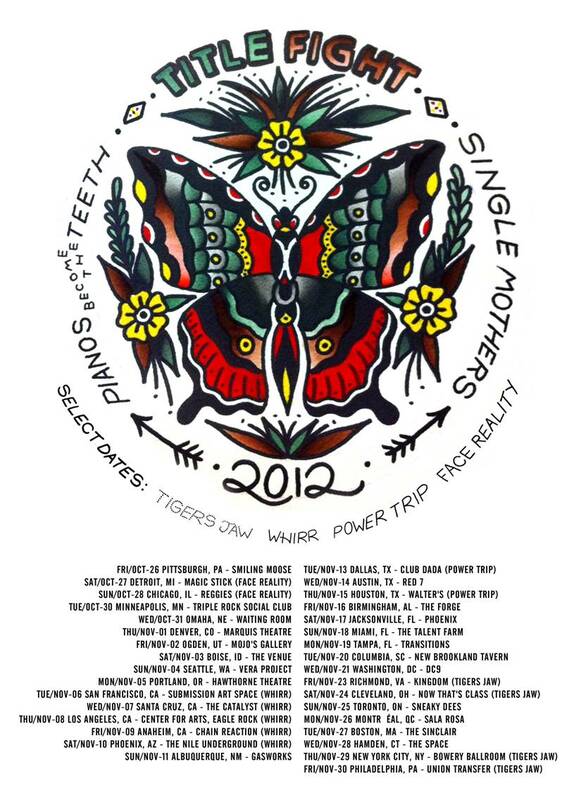 Baltimore, MD’s Pianos Become The Teeth will join Single Mothers as support on Title Fight’s upcoming fall tour. On select dates are Tigers Jaw, WHIRR, Power Trip and Face Reality. The tour kicks off October 26 in Pittsburgh, PA and runs through November 30 in Philadelphia. Pianos Become The Teeth’s critically-acclaimed LP The Lack Long After is available now on Topshelf Records.